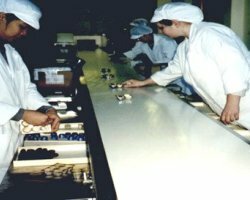 An organised packing station table can drastically improve your production flow process maximising your factory floor space to its full potential increasing the efficiency which inturn increases the productivity and profit. Not only does it become more aesthetically pleasing you also gain storage space and the organisation is increased which help eliminate human error. C-Trak Ltd are celebrating its 30 years in the conveyor business this year. We have an abundance of knowledge that can only be achieved by designing products year after year. 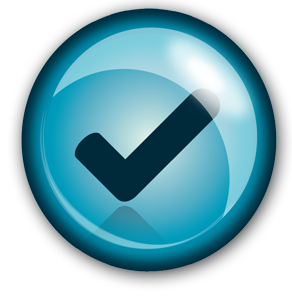 Our customer service if first class and have been praised on our thougherness and eagerness to please our clients. We are competitively priced and will deliver your products on time! Our Packing Stations can be made in Stainless Steel which is imperative for the food industry or Mild Steel for a more industrial approach. We can include Rotary Tables. 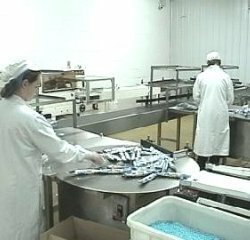 C-traks staff are able to adapt and design Packing Stations to suit most application. 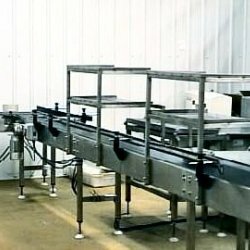 Fabricated in Stainless Steel with side packing tables fixed to a Belt Conveyor, the Packing Stations allows the user to be very versatile and handle a number of different product at the same time. This Packing Station is constructed Stainless Steel. 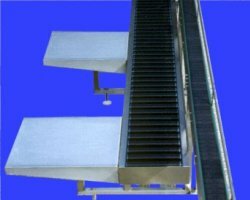 The Conveyor has 2 Stainless Steel Shelves canter levered over a Belt Conveyor allowing operators to gain access above the product. 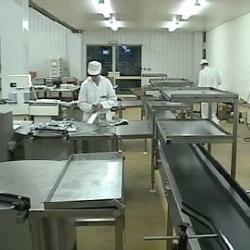 This photo shows a Food Rotary Table feeding a Packing Station. Fabricated in Stainless Steel. The Rotary Table accumulates the product the operator picks the flat boxes and puts the product into the box, the box is then placed on the Belt Conveyor. 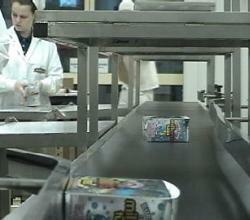 Food Quality Belt Conveyor and Packing Station. Fabricated in Stainless Steel. Food Quality Access Gates and Packing Station. All Stainless Steel construction. This shows a hinged access gate designed within the packing station used when space and access is limited, or to comply with health and safety regulations.